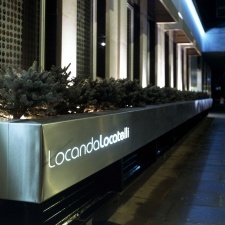 Giorgio Locatelli and his wife Plaxy, opened their first independent restaurant, Locanda Locatelli, in Seymour Street in 2002 and the restaurant is now regarded as one of the best Italians in London. Locanda Locatelli was awarded a Michelin star in 2003, which has been retained ever since. Formal, sophisticated and with Angela Hartnett at the helm, Murano delivers a restaurant of the highest quality.